This Blackhawk! 38CL20 Pouch fits a MBITR radio or other similar sized radio. 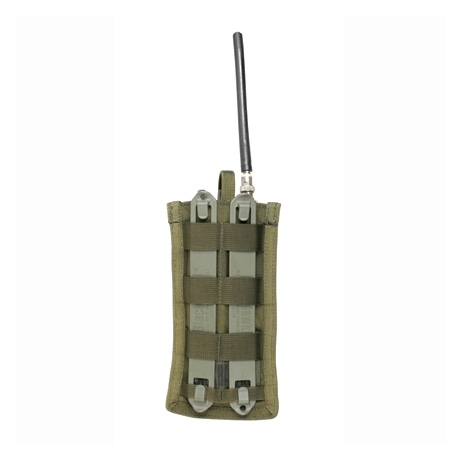 It connects to MOLLE webbing with Blackhawk SpeedClips (included with pouch), which are made of a modern carbon-fiber polymer material that is strong, flexible and durable. 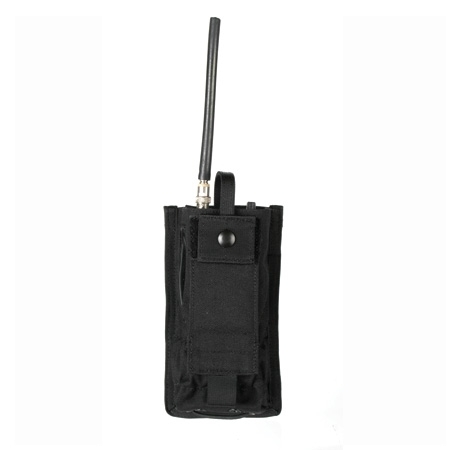 Developed by Blackhawk's R&D staff, these clips quickly mount or disconnect pouches and other gear quickly and easily. Tested in combat, they have proven to be both reliable and secure.